Cameron was working on a new dock on the River Clyde when he started playing football seriously by signing for Clydebank. After one season he was transferred to Birmingham City where he made his Football League debut, scoring one goal in six appearances. A year later he had signed for Walsall where he became a regular; first team player, making 63 league outings and scoring four goals. 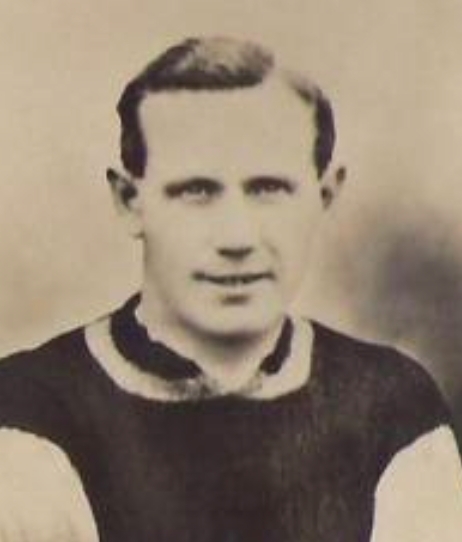 His next club was Lancashire side, Nelson, whom he joined in 1923, adding a further 10 goals and 46 league appearances to his tally. He surprisingly dropped into non-league football with Stafford Rangers in 1927-28, but helped them win the Birmingham and District League Championship. He got another Football League opportunity when signing for Exeter City in the summer of 1928. Cameron played his first match for the Grecians in a 2-4 defeat at Brentford in August 1928. He then scored in four consecutive league matches during the following month and ended the season as City’s top scorer with nine goals in 24 starts. He was released at the end of the season and returned to link up with Nelson for a second spell. He was later to play for Stafford Rangers (again, for a second time), Cradley Heath, Hednesford Town and then going back to Stafford Rangers for a third time.